What are GMO’s and Why Label? I recently had someone ask me to explain what GMO’s really are. What is the entire hullabaloo really about? Why clamor for labeling when we have been engineering genes for thousands of years? The question made me realize that I can’t assume I have an audience always well versed in such details. Thus it is always good to clarify and cover the basics. So if you already know this stuff, dear reader, STOP READING NOW! Instead, forward it to someone who may not know, share it on Facebook with friends, and give it a tweet. .
You’ll be doing what I intend to do, educate, motivate and activate another person, family and friend. 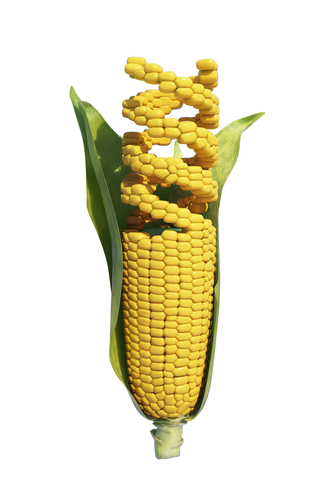 GMO’s are plants or animals that are created through the process of genetic engineering (GE). This relatively new technology literally forces the DNA from one species into an entirely different species. The resulting GMO’s are often unstable combinations of plant, animal, bacterial and viral genes that could never occur in nature or through traditional breeding practices. Different species have evolved separately and have never before been able to comingle in this curious way. The majority of GMO crops are genetically engineered (GE) to withstand direct and often heavy applications of herbicides and/or to produce an insecticide inside the plant. Despite claims of glory, none of the genetically engineered traits in commercial production have offered increased yields, drought tolerance or nutritional superiority or for that matter any real benefit to consumers. How prevalent are GMO products? It has been just 20 years since genetically engineered crops were introduced. Now about 90 percent of the planted acres of corn, soybeans, and cotton in the U.S. are GE. Many of these crops end up as ingredients in a variety of packaged foods in the form of oils, corn syrup, meals and sugars; unsuspected ingredients literally baked into many of the foods we eat. The Grocery Manufacturers Association estimates that GMO’s are now present in more than 80% of conventional processed Foods. Over 64 Countries have some kind of labeling or restrictions on GMO products. As you can see from the World GMO Map from The Center for Food Safety, Europe, Asia and Russia all maintain vigilance around GMO foods. This is because the studies around their safety and long-term effects have not been conclusive. The technology has only been around for 20 years, not long enough to know the long-term biological, environmental and health effects that can take generations to unfold. The real issue has been to identify GMO foods and be able to make an educated choice about what we eat and what we feed our families. There have been multiple state and local initiatives across the country to gain this simple right of transparency. To date, we have the state of Vermont poised to enact a GMO labeling law. We have seen multiple large national food companies like Campbell’s, General Mills, Mars and ConAgra, who in deference to the Vermont law will now begin labeling their products. Sen. Merkley has recently introduced a bill that would require national mandatory GMO labeling in the U.S. If you believe we have the right to know, this is the bill to urge your senators to support. How then to avoid GMO’s? Until we have a National Mandatory labeling law, you can avoid GMO’s by purchasing organic products or those with the Non-GMO verified seal. GMO’s are banned in organic production. The Non-GMO Project verifies that products do not contain GE material, but unless they are organic, they may still be grown using herbicides and pesticides. Always seek out the USDA organic label. Support the Non-GMO verified products if you can’t find organic. Keep clamoring for labeling by supporting the Just Label It Campaign. Someday we will join the rest of the educated world and then be able to identify the foods that contain GMO’s. This entry was posted in GMO, Labeling, What is Organic and tagged Global Organic Textile Standard, GMO, GMO Food, GMO labeling, Non GMO, Non-GMO Project, Organic Agriculture, Organic food. Bookmark the permalink. Thank you. A big hug. My definition of everything in Agriculture related to our fertile soil built up by the Master over millions of years and taken down to no organic matter in 80 by the greedy is breaking GOD’S LAW. Organic is — LIVING OR HAS LIVED — with three exceptions. 1. Nitrogen — 78% in the atmosphere 2. Oxygen — 20% in the atmosphere. 3. Rain water all important bringing N and O2 to be trapped and held by the organic matter. Everything working together producing healthy food. Man made hot acid water soluble chemicals NPK has ruined the balance by burning up the organic matter (carbon) and releasing it CO2 the green house gas. Some is leached to the water ways and killing the fish. The ORGANIC METHOD BUILDS UP FERTILE SOIL. The CHEMICAL METHOD BURNS UP FERTILE SOIL. Herbicide is a growth hormone causing children’s development. GMO’S changing the genetic’s in plants for food where will this go. No corn kernels on 202 thousand acres in Africia this year. All breaking GOD’S LAW. This can be the answer to the end and who knows good or bad if God has been to slow in stopping this tragedy soon enough. This is all my personal opinion from sixty years of successfully doing Organic. Great article on GMO’s and again, the reason labeling is so important!